If you plan to visit Manchester Village or the surrounding area, please consider staying at the beautiful Skinner Cottage or Carriage House. 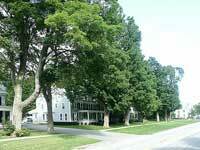 Skinner Cottage is a historic home built in 1802. 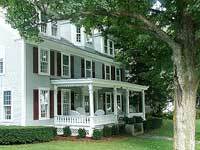 The house is known as having been the governor of Vermont's residence and, later, the home of a founder of the Pew Charitable Trusts. The house is designated historic by the Manchester Historical Society, within the Manchester Village Historic District, which was added to the National Register of Historic Places in 1984. You can look at this beautiful house on GOOGLE MAPS. 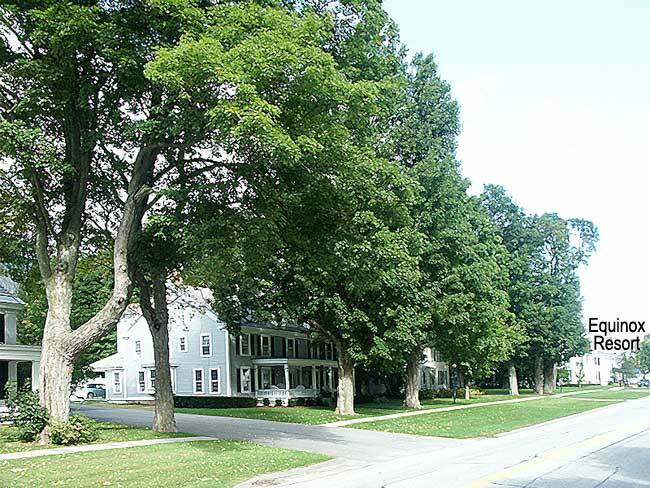 Click on 'more' and 'street view' to see the fantastic, quintessential Vermont village location near the Equinox Resort Hotel, the Courthouse and two historical churches; the beauty of the property and the street; even 'walk up and down the street' on the site. 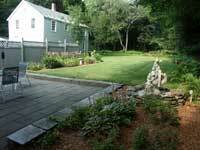 There are also high resolution photographs all within 100 yards of, or outside, the house. The house is a three storey 6,000 sq ft American Georgian with a Carriage House in typical Vermont style. The interior has been remodeled to modern standards (when the house was built there was no indoor plumbing or, of course, electricity). The grounds are landscaped with a large blue-stone patio (these are recent additions). As a historic house the exterior cannot be changed. The house is one of only a few on a 1/2 mile long street of similar vintage large homes and mansions. It is grey with white trim and maroon shutters (most of the grand houses on Main Street are white and the colors cannot be changed without town planning permission). For its style and age the house has unusually large windows and abundant external light. Golf and ski packages available.